Christmas is such a magical time of year. Houses, homes, abodes and apartments completely transform to welcome the season. It’s time to de-clutter and dust off the old Christmas decorations, hang up all of the twinkling fairy lights, top the tree with a star or angel of your choice and cover any available surface in tinsel. Enjoy filling your house with festive smells of freshly baked Christmas cookies or a scented candle to provide a cheerful aroma and blast the Michael Bublé Christmas classics on repeat. Surround yourself with your nearest and dearest because if there is something we know for sure at Bluebell Connections, it’s that the love of a family makes a house a home. We’d like to take this opportunity to say thank you to all of our homeowners and homemakers for an amazing 2017. We are truly grateful to be able to work with you all. The real joy of Christmas is always in the giving. Taking the time to give to others, in big and small ways, is really the spirit of the Season. keeping the lawns mown and trimming hedges to perfection. Jenny has decided to give Tom a gift card this Christmas as a token of her appreciation of the way he is taking care of her home, and making it his own. Nigel owns a new brick house in a new development in the outskirts of Brisbane. He’s thankful he has nothing to worry about with homemakers, Georgie and Jack living in the home and everything being well managed. He thought a nice way to say thank you as well as support his community would be to provide a gift certificate for coffee from the local café. Do you feel inspired to do something like this? 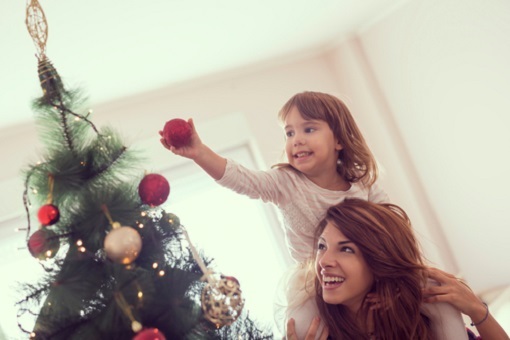 If you’re a homeowner, giving back to the person who takes care of your home is such a wonderful feeling at Christmas time. Any gesture or gift is a lovely way to say thank you. Every year we offer homeowners the chance to buy a gratitude gift. Sometimes it is a movie or gift card, a box of chocolates or simply a Christmas card with some heartfelt words – whatever our homeowners want to give. Our homeowners pay for the gift, and we donate our time to purchasing, wrapping, personally handwriting cards on their behalf and delivering or posting them. Our homemakers are always so moved at Christmas time by this gesture. It makes us all feel good, and the connection between Homemakers, Homeowners and Consultants is strengthened for the coming year. It can be just a little, or a lot, whatever feels right for you. After all “Christmas is about giving from the heart more than giving from the store.” -Toni Sorenson. It’s about the gesture of thanks to your homemakers, and wishing them a home filled with love and joy this Christmas. The Practical Series: Why Landlord’s Insurance? The Practical Series: Who Pays Water Usage in Rental Homes?